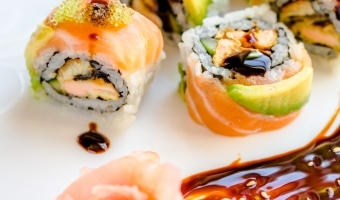 Buttery salmon and creamy avocado on top of an uramaki sushi roll filled with mouth-watering salmon tempura and refreshing cucumber; this Temptation sushi roll is one you truly won’t want to miss. 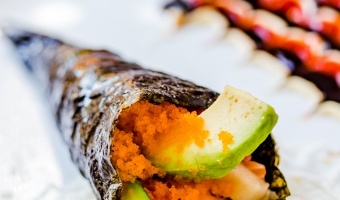 A fully cooked delicious sushi roll made out of poach shrimp, avocado and cucumber. 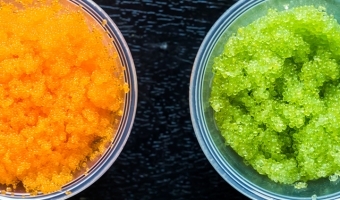 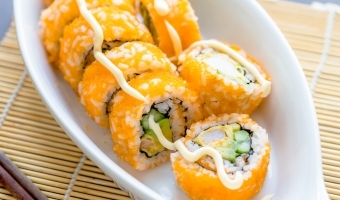 This Boston sushi roll is then coat in a thin layer of masago, the small, sweet, crunchy roe.